The legendary sword of King Arthur can now appear within your own home! 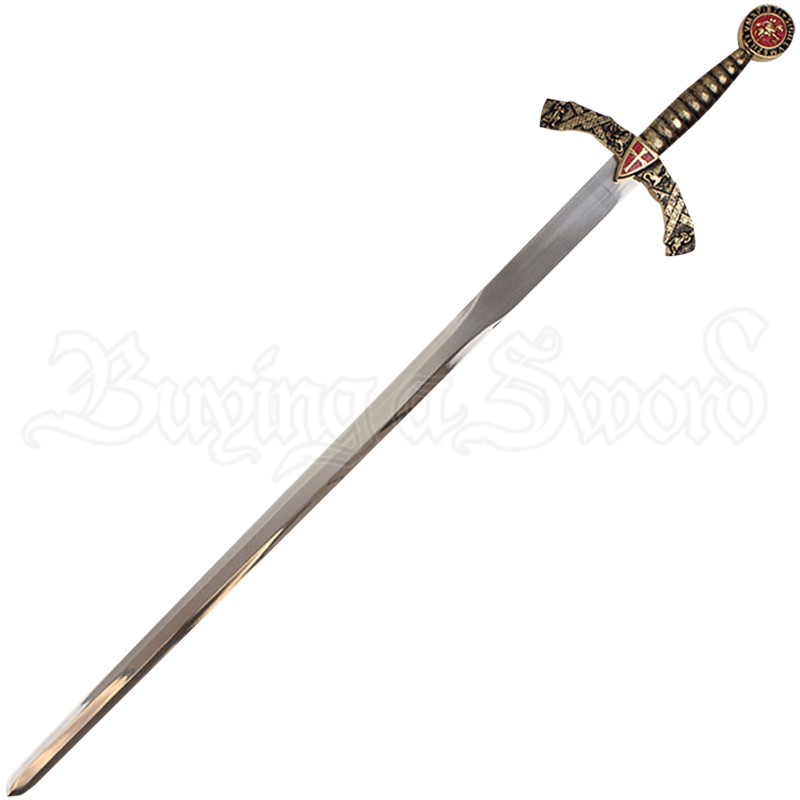 Based on Excalibur, the sword gifted to Arthur by the Lady of the Lake, the Cross Shield Excalibur Sword with Plaque features Crusader themes upon its hilt. The Knights Templar Seal appears in red on the round pommel, encircled by the phrase Sigillum Svilitvm Xpisti. Ridged and textured with an antique brass finish, the grip leads to a rounded crossguard, the center of which features a triangular shield emblem emblazoned with a cross upon a red background. The arms of the guard curve towards the blade and feature ornate detailing, including rampant griffons and kneeling knights. 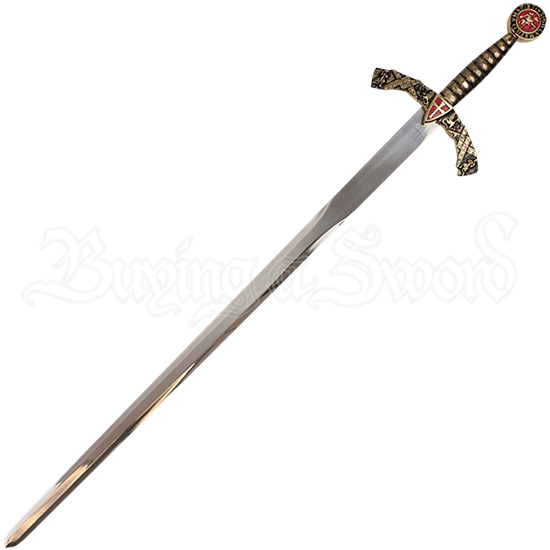 The blade of the sword is made of stainless steel, and its included wall plaque is made of wood. Easy to display, this King Arthur replica sword makes a fantastic addition to medieval themed decor and weapon collections alike. Whether you are interested in medieval Crusaders or Arthurian myth, this decorative weapon is a fantastic combination of both aspects of the Middle Ages.